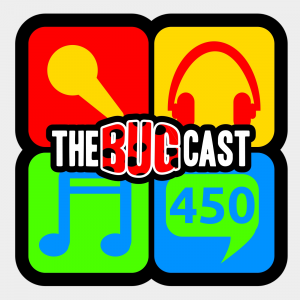 This week on The Bugcast: our listeners choose their favourite tracks from the last year, with 11 tracks of Creative Commons music and independent music from Christian Kane, Callaghan, Karissa Hobbs, Uncle Ben’s Remedy, Regard du Nord, Message From Sylvia, The Society, The Green Duck, The Madpix Project, and Mark Dvorak. This week on The Bugcast: while Caroline and Dave go to London, Lainey and Yannick take over and do their best to deliver a live show. Music from Golden Duck Orchestra, Christian Kane, Jasmine Jordan, Ben K Adams, Anne Steele, Callaghan, Josh Woodward, and Niki J Crawford.